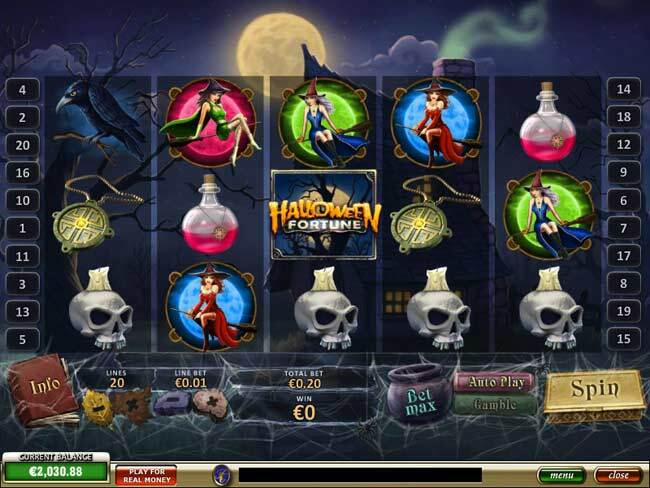 The object of Halloween Fortune is to obtain a winning symbol combination by spinning the reels. This brand new Playtech game has been released in time for Halloween 2011. It is a great game with some new style animations. The bonus game can win you up to 20 FREE SPINS with a 10x multiplier..